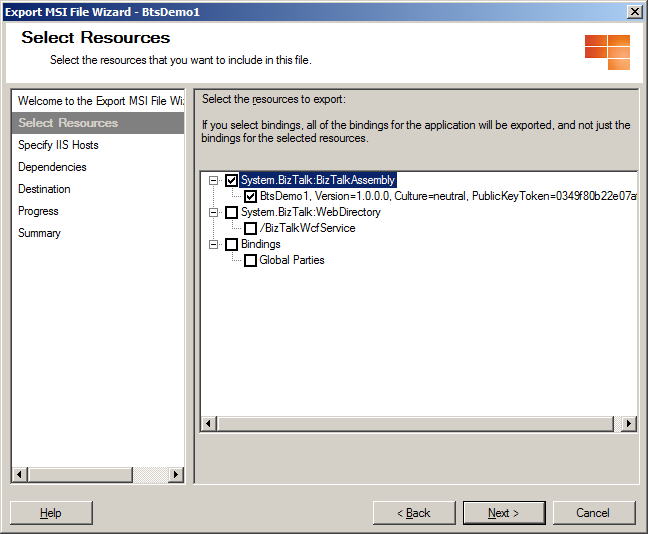 I've had the need to export BizTalk Applications using scripts, but with the requirement to not export web directories or global parties to the .msi file. However, it cannot be done (that I know of) using the btstask command with the exportapp parameter. 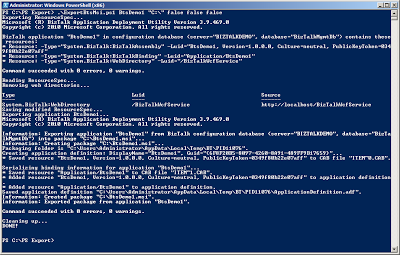 $removeDefaultBinding is a boolean controlling whether the default bindings will be written to the .msi file or not. This is handy to remove in those cases you want to just keep bindings for dev/test/production environments. $exportGlobalParties is a boolean controlling whether to include the Global Parties in the binding file or not. These will of course not be written if for instance you only have the default bindings and set the parameter $removeDefaultBinding to false and $exportGlobalParties to true, since the binding file never will be written at all. The script basically dumps a ResourceSpecification file which then gets modified depending on the parameters entered. 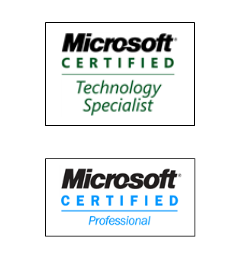 This ResourceSpecification is then used as input to the btstask exportapp command creating an .msi file according to our needs. throw "Could not export resource specification. Verify application name." Write-Output "Removing Default binding info..."
throw "Could not export application. Verify application name and parameters." Can you pls post the code without image. How do you mean? The code is in plain text so you can just copy it and paste it flawlessly into the editor of your choice? The images just show what it looks like when running the script.